The backstory here is that we're struggling to get someone to come mow our yard. We had a redneck and various members of his redneck family who would come and mow for us, but they flaked out. Since then it's been a nonstop stream of flaky and stupid when you JUST want your yard mowed. Call a big fancy lawn service? They want to sell you lawn service - like chemicals and stuff. You wouldn't think this would be that difficult. I will give you money to mow my yard. If you mow yards for a living, this seems like it might be a good thing. Apparently it's not. Or lawncare people are the flakiest on the earth. My favorite interaction though, is the company that came out, discussed the job with my husband, brought their equipment but left because they didn't think they brought the right mowers. Did I mention it's rained every day and we're about to call the yard a prairie? Ok it's not that bad but IT NEEDS MOWED. The same company texted my husband and asked why we had snacks in our yard. This seems like and odd question but it turns out after the correction was received, she meant SNAKES. 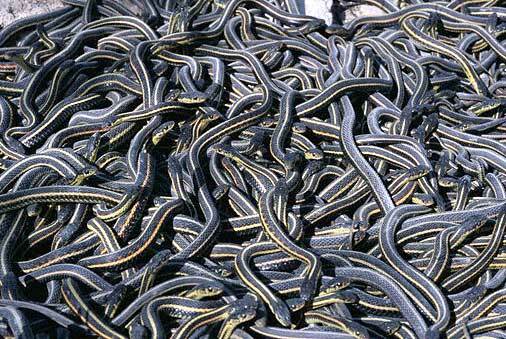 Why do we have SNAKES in our yard? Well, when said lawncare pseudo-professionals were here, they asked how he felt about snakes. Husband answered that we had a few black snakes, grass snakes etc - we live right next to a forest so yeah they're around. Right about then, they left. Hmmmmmmm. Why do we have SNAKES in our yard? Because we needed them to eat the rats. We are gettign aligators to eat the snakes and then gorillas to kill the alligators. Then winter will come and kill off the gorillas. Oh DANG they got out again? This question was so puzzling until the next text when she said "They said you put snakes in your yard." So apparently they sent braniacs out here who ran away because they thought we had a yard full of snakes, intentionally. This is painful. Mixed character Meme. It made my day.